1.Collect your army of cleaning supplies. See things you'll need for further information but feel free to add in anything else. 2.Take a good look at your space. How dirty is it? Will you be focusing on clutter management? Reorganisation? Or dust control? Arm yourself for your task! 3.Start with one area first. Try your desk perhaps. Clear everything off it and put everything in it's proper place. Clean the surface with the required materials and reorganise. 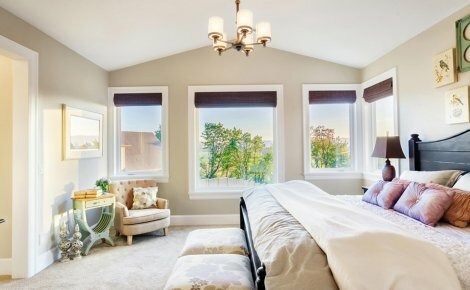 Do this with each individual area of your room one area at a time..
4.Don't forget your windows! Wipe them with vinegar and newspaper for gleaming, streak free windows! You'll see the world differently afterwards. 5.Clean the floor. If you have a carpet floor, put down some carpet shampoo and then Hoover. If you have wooden floors sweep all the areas thoroughly and then mop anywhere that is very dirty. 6.Take a look in your closet. Pull out the clothes that you know you won't wear again; set them aside to be washed and dried or dry cleaned. wash these separately from your other clothes so they don't get mixed in with your other stuff. Make sure your spring and summer clothes are put on hangers and drawers in a convenient location. Put your winter clothes that you won't wear until next year in storage with some moth balls and lavender bags, if you have them. Dust all the shelves and corners before putting all your things back neatly. 7.Your room should feel fresh. If you've missed any spots, go over them and perhaps spray some air freshener to give it a light scent.